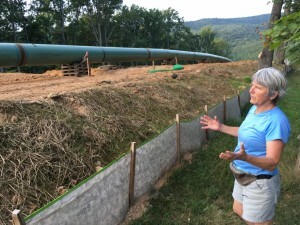 An appeals court has upheld the “take first, pay later” approach to building the Mountain Valley Pipeline, in which the company condemned private property in the project’s path before paying opposing landowners for their losses. The ruling Tuesday by the 4th U.S. Circuit Court of Appeals was a blow to pipeline foes, who have long decried the use of eminent domain to take parts of family farms and rural homeplaces to make way for a 303-mile natural gas pipeline. In their appeal, the landowners did not contest the laws that allowed Mountain Valley to obtain forced easements through nearly 300 parcels in Southwest Virginia. But they challenged a ruling by U.S. District Court Judge Elizabeth Dillon, who granted Mountain Valley immediate possession of the disputed land before deciding how much each property owner should be compensated. Dillon’s decision was instrumental in allowing the company to move forward with tree-cutting in February 2018. At the time, Mountain Valley officials testified that they needed to start timbering as soon as possible to keep the project on schedule and to meet a March 31 deadline for the felling of trees before they became the warm-weather habitats of protected species of bats. The company would have suffered serious financial harm if it was forced to wait to begin tree-cutting until mid-November, after the bats had gone back into hibernation, Dillon ruled in allowing Mountain Valley to take first and pay later. Two other federal judges, who preside over districts in West Virginia through which the pipeline will pass, made similar calls. All three of the decisions were consolidated into one case, with a three-judge panel ruling unanimously in Mountain Valley’s favor. Derek Teaney, an attorney for Appalachian Mountain Advocates, a nonprofit law firm that represented the landowners, said his clients were evaluating their options and declined to comment further. Had the decision gone the other way, it would have raised huge complications for Mountain Valley by throwing into question the property rights to land it has already bulldozed and dug trenches through for its 42-inch diameter buried steel pipe. But with the 4th Circuit’s blessing of Dillon’s order, the next step will be to complete the process of deciding how much money each owner should receive from Mountain Valley. Under the laws of eminent domain, private property can be taken for a public use such as a highway or a power line — as long as the owner receives just compensation. 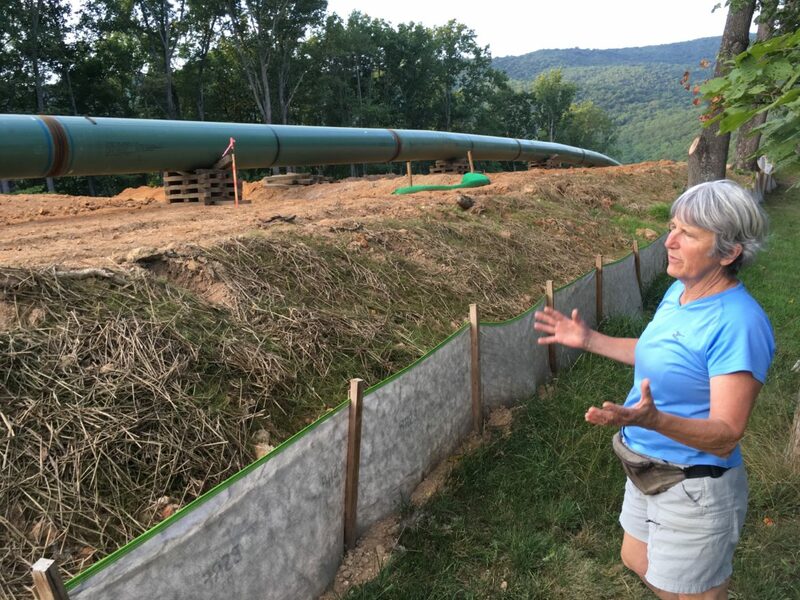 For about 85 percent of the land through which the pipeline will pass, Mountain Valley negotiated deals with the owners for 125-foot wide easements, access roads and other areas it needed to complete the linear construction project. The company forced its way onto the remaining properties — which according to court records have an estimated value of at least $8.5 million — by using the muscle of eminent domain, which it obtained after the Federal Energy Regulatory Commission found there was a public need for the pipeline. Of the 300-some properties covered by Dillion’s order, agreements on a price have been reached between the company and the owners in about two-thirds of the cases since her ruling a year ago. Other negotiations are continuing. In at least eight cases where no agreement has been struck, jury trials are being scheduled. Because it can take so long to determine just compensation, Dillon and her two counterparts in West Virginia ruled that Mountain Valley would suffer “irreparable harm” if it was forced to wait until the process was completed before starting construction. Although the case was a win for Mountain Valley, the $4.6 billion construction project still faces a series of regulatory and legal obstacles, some of them placed in its way by the 4th Circuit. In earlier decisions, the court threw out federal permits the company must now regain before it can build through the Jefferson National Forest and under more than 1,000 rivers, streams and wetlands. And since land-clearing began in the spring, the Virginia Department of Environmental Quality has claimed in enforcement actions and a lawsuit that the company violated erosion control regulations more than 300 times, allowing sediment-laden water to run off work sites and into nearby streams. In mid-December, the State Water Control Board voted to reconsider its water quality certification for the Virginia portion of the pipeline, which crosses the counties of Giles, Craig, Montgomery, Roanoke, Franklin and Pittsylvania. No meeting to follow up on that action has been announced, and pipeline opponents are growing anxious. “DEQ has already waited nearly six weeks without any move” to inform the public of what will happen next, attorney Tammy Belinsky wrote in a January 23 letter to the water board on behalf of the Blue Ridge Environmental Defense League and four other conservation groups.